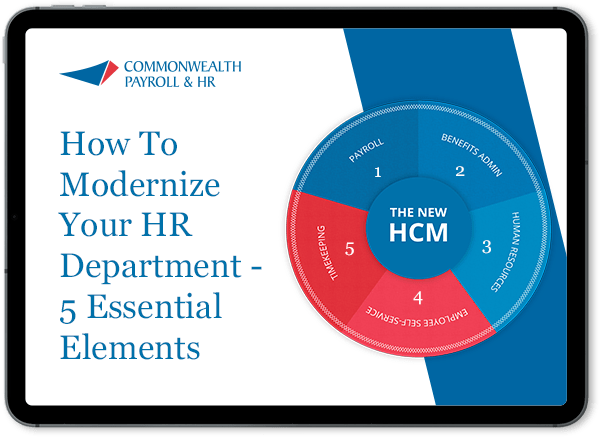 Commonwealth offers payroll with the qualities you expect – efficient, accurate, and secure – with features you didn’t know you could hope for – an entirely customizable technology solution that integrates payroll, benefits tracking, HR, and time & attendance. This all-in-one database platform provides for a dashboard for better business decision making, a powerful employee experience, and tools that help you solve today’s human capital challenges. These challenges range from the simple, such as calculating paychecks, to the complex, like dealing with the ACA employer mandate, managing benefit open enrollment, and efficiently dealing with employee time off tracking. Couple this with a service team that knows your name and can answer your questions, and you’ll see why we say, we can help you be the employest!